Some bloggers have the skills to build their online businesses, but are not as close to success like Darren Rowse, Pat Flynn, and others. The reasons for the inability of some bloggers to use their skills for their benefit are all too familiar: they do have the time, they need to work for clients and make money to pay the bills, they have more important things to do, etc. Imagine if they can only get rid of those excuses and just focus all their efforts on building their blog. It will take a while, but imagine how many visitors will flock to their latest posts, subscribers signing up for their mailing lists, and financial opportunities that will fall on their laps. Imagine all those things, and you might get Eric Brantner. 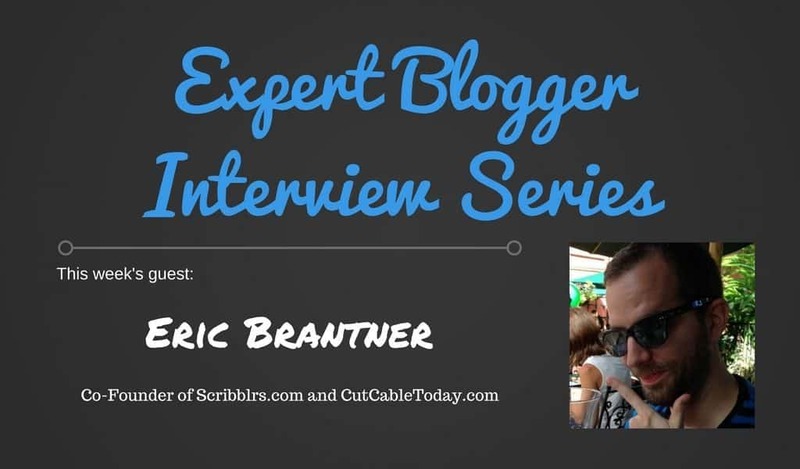 In this interview, you learn will how Eric was able to use his copywriting skills to build a business of successful websites that he can proudly call his own. Before I started launching my blogs, I worked as a freelance copywriter. I did this for nearly a decade. I specialized mostly in landing page copywriting, working with clients to help them increase conversion rates and generate more leads. I also did quite a bit of blogging for my clients. I always had ideas for blogs that I wanted to launch on my own, but for the longest time, client work would always get in the way. Finally, I made a point to treat myself like a client . By that I mean, I started setting aside time in my work day to work on my projects. Over time (and with many failures along the way), I started seeing success with some of my blogs, and eventually, I was able to stop doing client work altogether, focusing my efforts full-time on my sites. I’ve always had a pretty solid grasp on content marketing and what it takes to build a successful blog. The challenge, however, was finding the time and resources to execute it all. 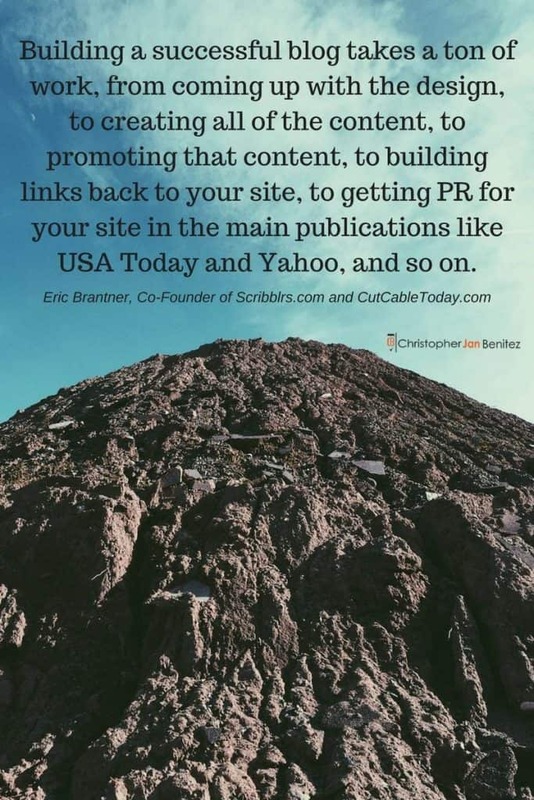 Building a successful blog takes a ton of work, from coming up with the design, to creating all of the content, to promoting that content, to building links back to your site, to getting PR for your site in the main publications like USA Today and Yahoo, and so on. It was too much to manage on my own, so I partnered up with my two brothers and another business partner, and we focused on sharing the workload and executing in areas where we were each strongest. If I had to choose just one, it would be an article I did for one of our sites CutCableToday.com that was based on a survey of Netflix customers. The survey turned up a lot of compelling data, most notably that a quickly increasing percentage of Netflix customers were getting rid of cable TV and relying on Netflix and other streaming options exclusively. I put a lot of work into gathering that data, putting together the article, getting custom graphics for it, and promoting it. The article went viral and has earned hundreds of thousands of page views and got picked up by a number of mainstream media outlets. 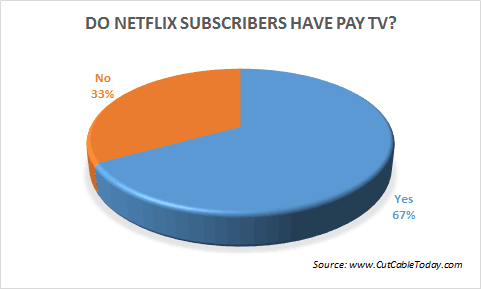 One of the many graphs featured in his awesome post about Netflix and Pay TV subscribers, which currently has 500 social shares according to BuzzSumo. There are so many great bloggers out there whom I look up to and get inspired by. Darren Rowse of ProBlogger has always been a source of excellent information and is a must-follow for any serious blogger. Jon Morrow of SmartBlogger is another brilliant blogger who knows exactly what it takes to build a successful blog. Carol Tice is somebody I found immensely insightful when I was a freelance writer and budding blogger. She shares great tips for making money writing. I’m a voracious reader of other blogs, and I’m always looking for fresh points of view and unique info you can’t find anywhere else. I think what has made me successful as a blogger is my ability to create and identify ideas that have massive viral potential, and more importantly, executing on those ideas from concept all the way through promotion. Our sites have had several massive hits over the years, and landing on the front page of Reddit or getting our stories picked up places like USA Today, TechCrunch, Yahoo, Time, and other major publications is a relatively regular occurrence. 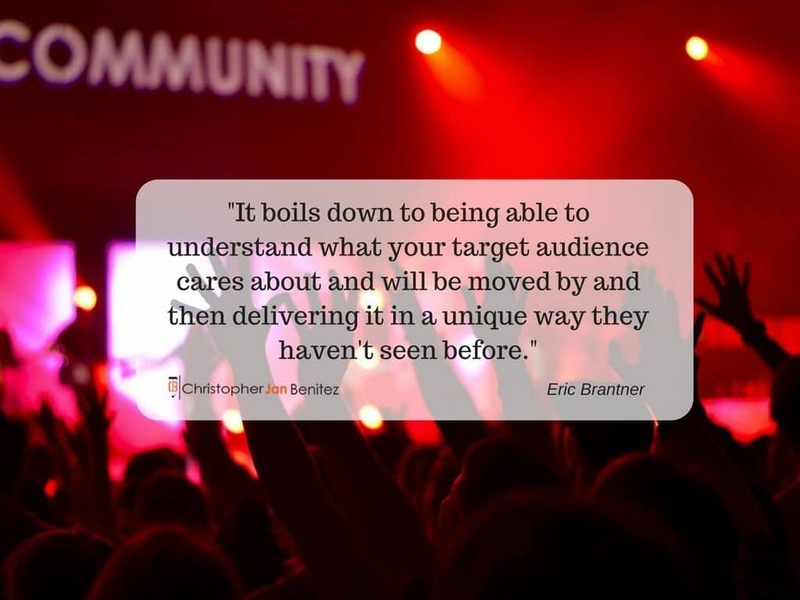 It boils down to being able to understand what your target audience cares about and will be moved by and then delivering it in a unique way they haven’t seen before. CoSchedule is undoubtedly the blogging tool I’ve gotten the most use from. 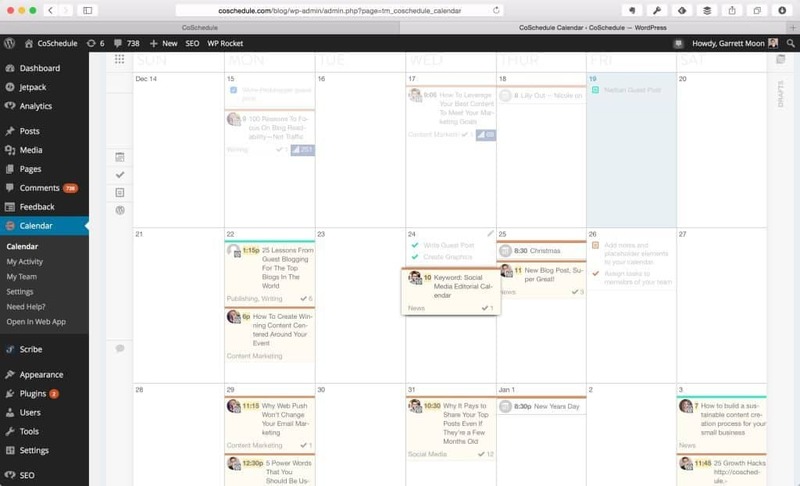 It’s a very easy to use editorial calendar that integrates beautifully with WordPress and your social media accounts. You can easily plan out your content marketing for the coming months, create tasks for executing your posts, collaborate with your team, create your content, and promote it across social media, all in one place. It has made me a much more organized, efficient, and effective blogger, and I highly recommend it to all bloggers. I especially enjoy that it lets me plan and schedule social media posts promoting my content before it’s even published. I’m very happy with how far our blogs have come. If you had told me just a year ago, that I’d have sites that are getting nearly a million visitors a month, I’d say you were crazy. I’m proud of the work we’ve done and the level of success we’ve achieved to this point. That said, the goalposts are always moving, and I always want to achieve more. Whether that’s growing my current blogs to greater heights or launching new blogs and bringing them up to this level, there’s always more work to be done and greater things that can be achieved. There are a few trends I’ve seen developing recently. One is the move toward long-form content. The days of cranking out that 300-400 word post and low-effort listicle seem to be quickly fading. These days, the average page one result in Google has over 1,800 words. To stand out and succeed in an increasingly noisy space, you have to create in-depth content that is truly unique, useful, and share-worthy. Another trend I’ve noticed is some major bloggers moving to Medium as their platform. Bill Simmons did it with his new site, ThinkProgress just announced its moving to Medium, and I’m sure many other will be doing the same shortly. That might come across as negative, but it’s not, I mean it in the most positive way imaginable. The simple fact is blogging is a hard way to make a living. I’ve launched countless blogs over the years, and the vast majority of them were duds. The average blog dies after 100 days. The odds are that you will have some failures as a blogger, and that’s totally okay. Every failure is a chance to learn and improve. It’s an opportunity to not make the same mistake again and to do it better the next time. Each time I’ve failed as a blogger, I’ve gotten a step further down the path to success, so I’m grateful for every single failure.